Photo courtesy of The Wickaninnish Inn. Photo by Adrian Dorst, courtesy of The Wickaninnish Inn. Photo by Marcus Paladino, courtesy of The Wickaninnish Inn. Photo by Makito Inomata, courtesy of The Wickaninnish Inn. “The Wickaninnish Cookbook” (Penguin Random House). The drive from Tofino’s quaint airport to the village centre is one of great beauty. The journey means sweeping along the surreal Pacific Ocean coastline, navigating under a lush canopy of green old-growth trees, and watching as the sun flickers and bounces off the white rapids, through the branches, and into the car. 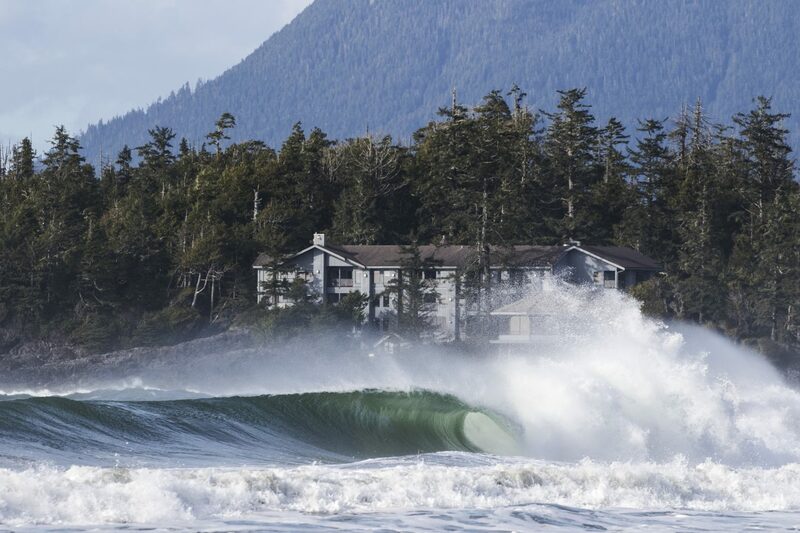 For some, this drive is just the beginning of what could be a weekend spent cold-water surfing in Cox Bay, hiking the Wild Pacific Trail to and from Ucluelet, or delving into fresh seafood, elbow to elbow, amongst tourists and locals in a farm-to-table setting. 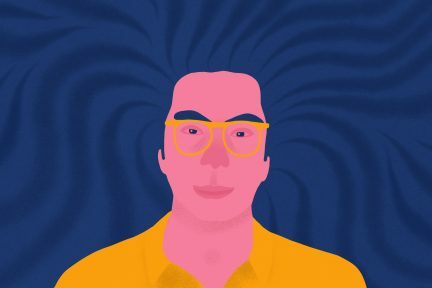 For most, including this writer, it also means transitioning into a state of relaxation, an immersion into nature, and leaving the worries and stressors of the city behind. 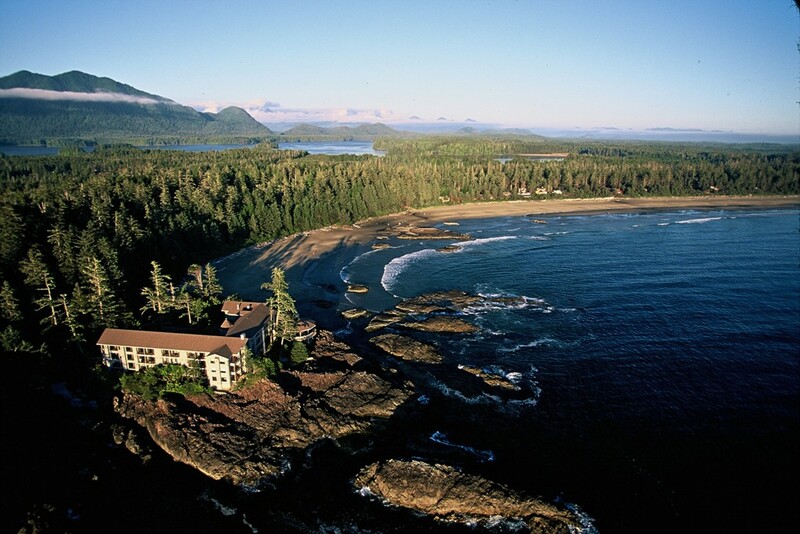 For Tofino-raised Charles McDiarmid, managing director of The Wickaninnish Inn, these were the enchanting elements of Tofino that he wished to bring to his guests when opening the local resort 22 years ago. The Wick, as it is lovingly nicknamed, sits on what could be called the edge of Canada. On this spring day, an umbrella of cedars provides shade from the sunshine, and there’s a sweet floral scent in the air. This coveted property is captivating and remote, a perfect spot for a weekend getaway, and one of the few Relais & Châteaux hotels in North America. McDiarmid walks along a sandy beach trail on the edge of the property. “We’ve had a home here since my parents moved to Tofino in 1955,” he explains. 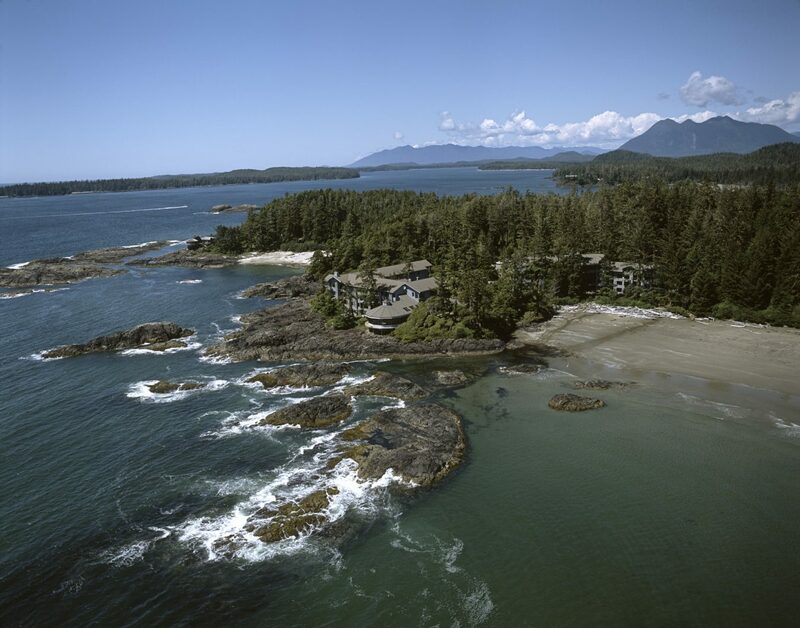 “Our cabin was built on the next point past the inn.” McDiarmid spent his formative years in Tofino, attending boarding school on Vancouver Island and graduating from Cornell’s hotel administration program before working as a hotelier throughout the United States. It was in 1996 that he and his family returned to Canada and constructed The Wickaninnish Inn on a eight-acre slice of their 100-acre property. Passing by a pair of eco-friendly red beach chairs, a perfect contrast to the earthiness of the estate, McDiarmid comes upon a little spot that, in the summer, hosts a crab feast led by hotel executive chef Warren Barr (once chef de partie of Vancouver’s acclaimed Le Crocodile). “We set up wood plank tables,” says McDiarmid. 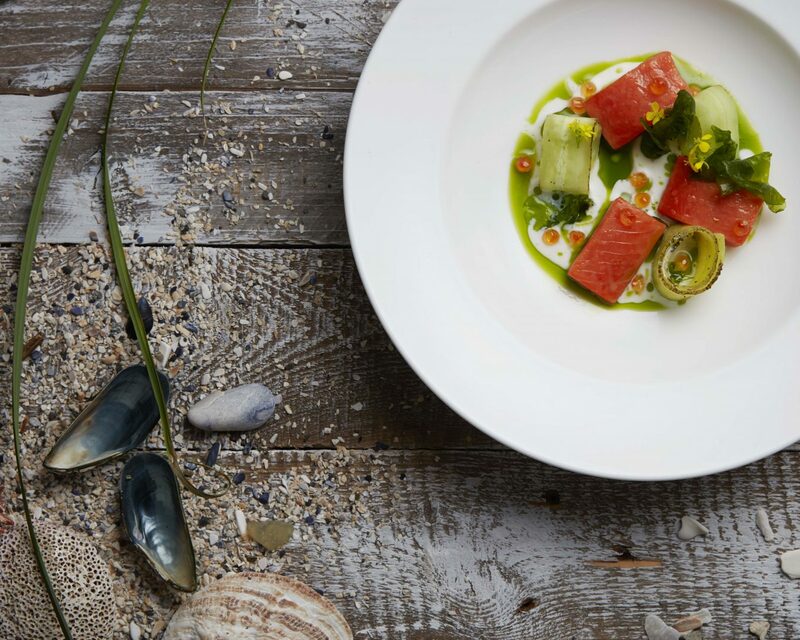 “And the kitchen brigade comes down to the beach and cooks up Dungeness crabs, salads, corn on the cob, desserts.” The Wick’s The Pointe Restaurant is often regarded as the premier provider of gastro-food in Tofino, and the summer seafood extravaganza is surely no exception. Continuing along, McDiarmid arrives at the Pointe Building, which boasts a grand lodge-like entranceway with cedar trees and pillars covered in immaculate carvings. The lobby is filled with afternoon sun, and the ocean can be seen through the expansive wood-framed windows. “Bringing the outside in,” says McDiarmid, like the water, the rocks, the sand, and the trees, is one of the major selling points of The Wickaninnish. And with such an exceptional location, it would be a shame not to. Each of the 45 suites here in the Pointe Building incorporate hand-gathered, custom-made wood furniture, and in some, Kootenay Forage lampshades and textured barnacle bookends add extra flair. “We really have elements of both the sea and the land,” says McDiarmid as he wanders to the property’s second accommodation, the 30-suite Beach Building. The upstairs loft has a charming library with Vermont-made Stave puzzles, a telescope for bird and nature watching, and a fine selection of books; on bottom floor is Driftwood Café, a little nook providing coffee after a morning of surfing or a glass of wine after a stormy evening walk. McDiarmid’s tour concludes in the glorious The Pointe Restaurant. Lined with golden wood and a monumental fireplace, the eatery—with 240 degrees of windows—is the ideal place from which to view the sunset. 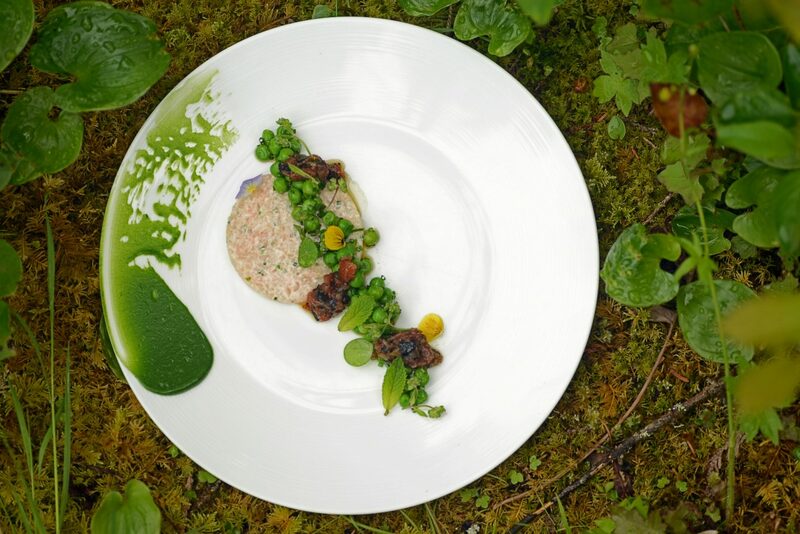 Within such an idyllic setting, it is only fitting that chef Barr presents a delicious rendition of Vancouver Island’s finest seafood, and seasonal organic grains and greens. To start, perhaps order a colourful beet salad topped with sour huckleberries, paired with a cultured cream horseradish over a bed of miso granola. For the main course, consider a smoky, deliciously sultry sablefish, served with glazed mushroom agnolotti. 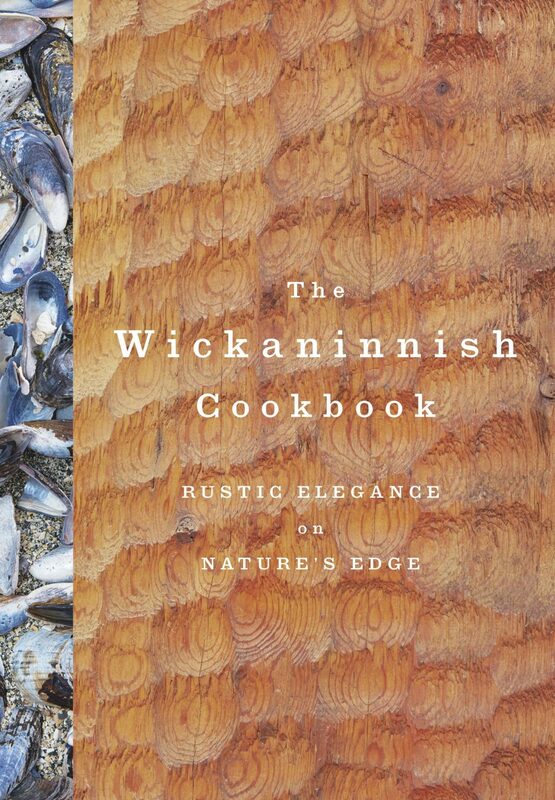 Those looking to take a piece of The Wick back to their own kitchens can consider picking up a copy of The Wickaninnish Cookbook (May 2018, Penguin Random House), a collection of delicacies put together by Barr, but also by the previous chefs who’ve blessed the plates here over the years. 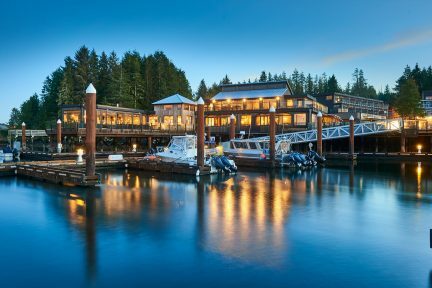 Comfortable, dreamy, and very Canadian, The Wickaninnish Inn truly brings out the best of Tofino in every detail—or as expressed by McDiarmid, the best of the outside, in. 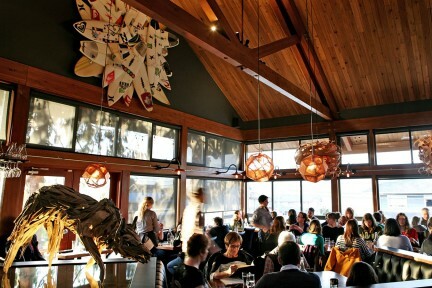 UPDATE, January 2019: Barr has left The Pointe Restaurant to open a spot called Pluvio in nearby Ucluelet. He is replaced by Carmen Ingham. 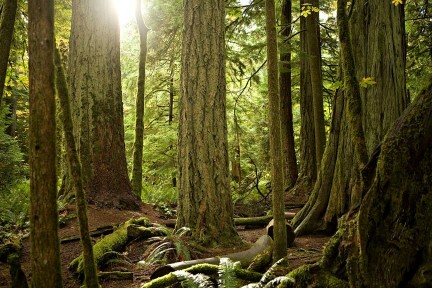 Read more from destinations throughout British Columbia.